I’m not too sure if DLC was a byproduct of consumer’s needs or simply to make money for the studios. I sincerely expect it was the latter, if not simply because that isn’t how consumers think. I guess it’s not too risque of me to say that people are generally unhappy with the idea of DLC. Perhaps not DLC itself, but the idea of forking out extra cash for a few more hours gameplay certainly can’t sit too well with the majority. In fact the entire malcontent with certain kinds of DLC already has a term, and that term is ‘horse armour’. For those who don’t know this originated in the game ‘Oblivion’, the predeccesor to Skyrim. It was the first major DLC of any kind and it did absolutely nothing for the gameplay, nor the story, nor the player. It just made your horse look a bit cooler. Now a hefty majority of DLC seen as useless is given such a nickname. But people will pay out for extra content if it’s a game they really like, which is absolutely fine. I’m not going to rant about DLC in general, just certain kinds of DLC. I think DLC falls into two categories. The first, which everybody dislikes, is money-grabbing, the second is decent DLC which compliments the story, but would not have fit into the tale of the original narrative. Because it’s the first that gets me, let’s talk about the second. The second is the kind of DLC nobody minds because they get to spend that little extra time in their favourite world, or with their favourite characters. 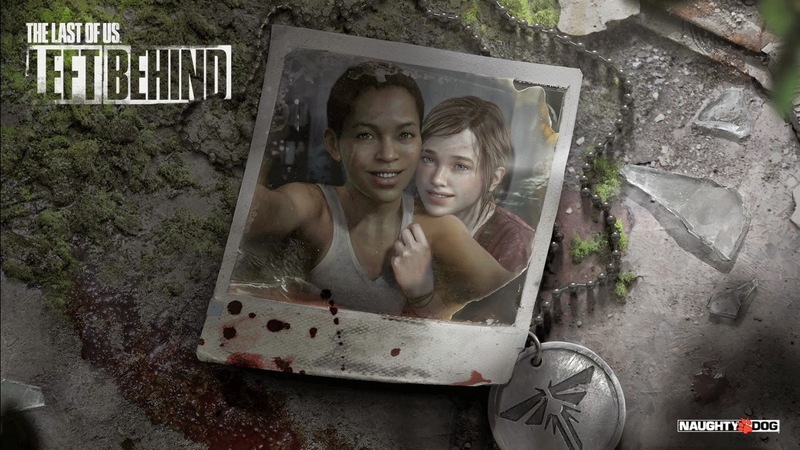 The Last of Us’s expansion ‘Left Behind’ is perfect for this. TLOU was a brilliant game, and with an endearing story that really hit the player hard, so it’s natural for people to want more of those characters, and to get to know more about that universe. Because it was such an important part of the story where we find out how Ellie gets bitten, and is mentioned so many times throughout the original game, it was a sensical step for the developers to make. Because it would never really have fit in to the main story of the game, which centered around Joel, and the game couldn’t have a better introduction if it tried, it wouldn’t have made sense to follow Ellie before she met Joel. But the developers gave us that insight anyway. So, that’s the first, and that’s the DLC we really enjoy. What really annoys me about DLC is when it has obviously been held back from the initial release of the main game, simply to sell as an extra extension. Skyrim’s Hearthfire DLC was one of these. A minor aspect of gameplay that would have added a nice touch to the overall game, but was withheld to sell at a later date. Skyrim’s next two DLC games, however, both of which held their own story line, worked as separate DLC. Another example is having to purchase more cars for racing games, which is an aspect that is really coming to a head. The major sore spot with DLC is having to fork out the full price for a game, and then having to pay more money (it doesn’t matter how little or much) for extra content. But when you buy a racing game, wherein you need cars to race, you expect there to be the full choice of cars with which to play. Or maybe you have to play to unlock the more superior cars, which is much more preferential. In fact that serves the entire purpose of the game, that mode of gameplay does nothing more than justify that initial price you paid to buy the actual game itself. Another perfect example of serving the game is when a game touts that the only reason to play it is for the multiplayer, and then cut the entire player-base in two; those who have bought the extra maps, and those who haven’t. Indeed, multiplayer first person games are the worst for this, with periodical maps being released, all for that extra bit of cash, and each time a percentage of players don’t buy the latest maps they are essentially cut out of a minority of the maps, when there are more maps released, they’re cut from the majority of the maps, and thefore, the games. Season passes are a minor ease on the consumer’s wallet, but just bring in money sooner. There’s also that annoying aspect where, rather than play to unlock features, like in the days of yore, you now simply purchase unlockables, requiring no effort on the behalf of the user, and simply a mildly bolstered bank account. But I won’t go into that now. The worst case of DLC I have ever seen was in the Spyro game Skylanders. Now on principle I would never play this game – I wouldn’t buy a game where the prerequisite was to shell out another hundred pounds to buy the very game characters. But my then 6 year old brother loves it, and has played every sequel to come out since. Now I simply disliked the game because it was a game where the purchases weren’t simply recommended, or were to bolster the end or beginning of a story – they were above necessary. But, when I saw my brother playing it, I noticed that there were locked corridors, and when I asked him, he said he didn’t have the play piece to get through, and when he found a token (or something) the game broke off, and spent three minutes advertising one of the buyable characters. There was an in-game advertisement, during gameplay, that the player had to watch, in the game my brother(‘s mom) had already paid for. That is almost insufferable. So I learnt that not only would you have access to seemingly less than 50% of the game, unless you forked out the extra for the figurines, they were pretty much bombarding you with the characters you had to buy to get the most out of the game. And this isn’t aimed at adults, or people my age, that’s aimed at kids. That’s a whole market of money-grabbing, attempting to extort kids who perhaps don’t quite grasp the implications. Also I just didn’t like the gameplay. Since then I have refused to buy him any of the models, and will discourage him from the game. Thankfully he now just plays Minecraft and doesn’t do much else. DLC can be decent, it can be a wonderful augmentation to a game you love. Or it can be a badly disguised money grabbing scam.